Like humans, pain in pets can stem from a number of causes: arthritis, cancer, dental issues, urinary tract infections, bone disease… the list goes on. Unlike humans, our pets can’t tell us when they hurt. Many of these are thought to be normal changes that come with age, but they are often due to pain and discomfort that can be resolved. Immediately stop giving your pet medication if you notice any of these signs and contact your veterinarian. 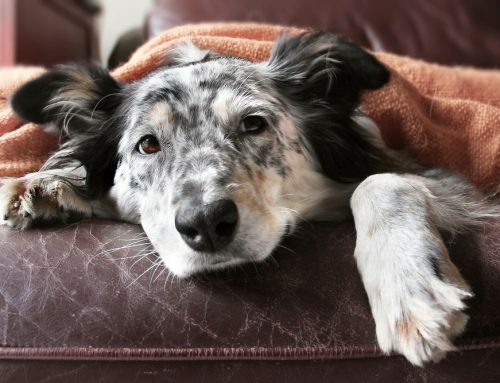 Different medications are available depending on the type of pain your pet is experiencing. Certain types are better for nerve pain, while others reduce inflammation. 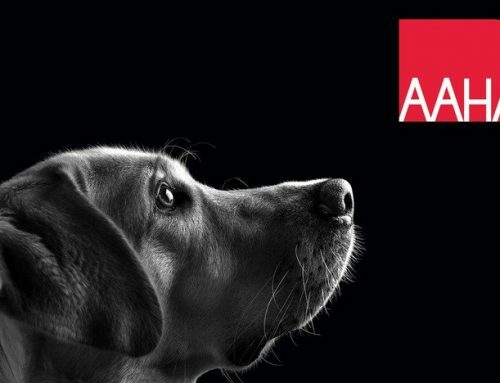 Following a diagnosis, your veterinarian will treat your pet’s pain appropriately. Physical therapy and hydrotherapy — These low-impact exercises can help to strengthen your pet’s muscle tone, decrease pain, and speed recovery after an injury. 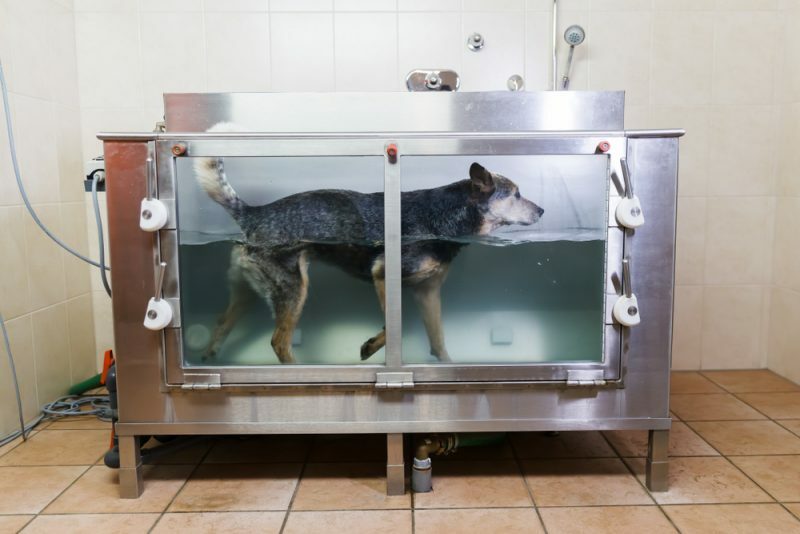 Underwater treadmill therapy, swim therapy, range-of-motion exercises, massage, and active exercises are excellent ways to help ease your pet’s discomfort. Acupuncture and laser therapy — Two excellent alternative methods for reducing pain, acupuncture and laser therapy both work to stimulate the body’s own pain-relieving and anti-inflammatory substances, and improve blood flow, oxygenation, and removal of toxins. For animals who won’t tolerate tiny acupuncture needles or are too nervous to sit still at the clinic, laser therapy is ideal. It decreases swelling and promotes healing by increasing metabolic activity within the cells. This is accomplished by applying specific wavelengths of light to injured areas. Joint supplements — Joint supplements consist of three key players: glucosamine, chondroitin, and essential fatty acids. These supplements protect and lubricate cartilage within the joints. Ideally, a supplement regimen should begin before significant joint damage has occurred. For active or sporting/working breeds, joint supplements are recommended as early as six months of age. Cats also benefit from joint supplements, which can help them to stay active and use the litter box appropriately and comfortably for years to come. Look for a formulation that your cat will take, since cats are notorious for rejecting pills. 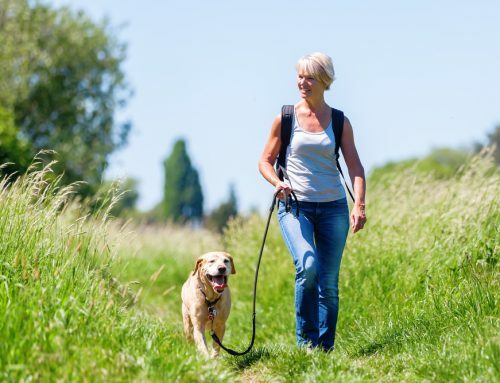 Supplements have few, if any, side effects and can protect the joints and keep them healthy well into a pet’s senior years. Diet and exercise — Nobody likes to be put on a diet, but it can be critical to making your pet feel more comfortable. Each extra pound on a cat can equal 15 extra pounds on a person. For a dachshund, the equivalent is almost as impressive—an extra pound is the same as 12 pounds on a person. That’s an incredible amount of extra pressure on those poor bones and joints. Ask your veterinarian about your pet’s body condition score and for tips on managing her diet to keep her at the appropriate weight. 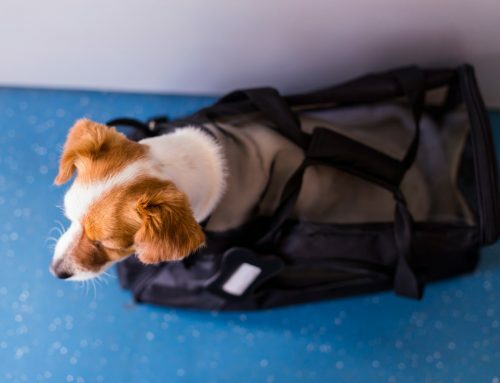 A multimodal approach to managing your pet’s pain is the most effective way to provide relief. Try several different techniques, medications, and supplements to see which combination works best for your pet. Have you noticed signs of pain in your pet? Call us at 772-283-0920 to schedule an exam so your pet can begin feeling like herself again.